Day of the Dead (Dia de los Muertos) starts on November 1st. 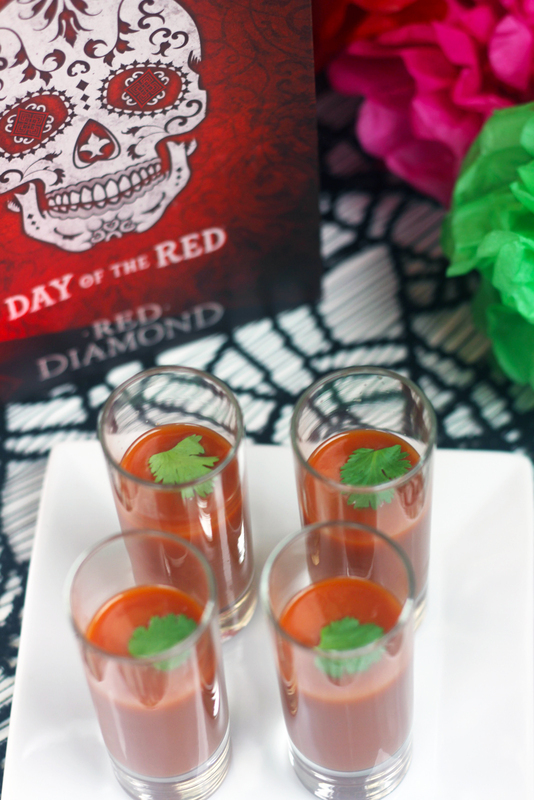 So we've partnered with Red Diamond Wine to share some fun and easy Day of the Dead cocktail party ideas. I think Day of the Dead is a beautiful way to remember those who've passed. 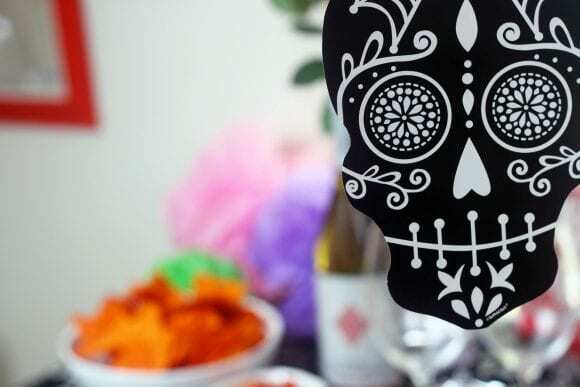 I love that the celebrations typically include bright colors, luscious foods, and of course decorated skulls, which tie in nicely with Halloween. 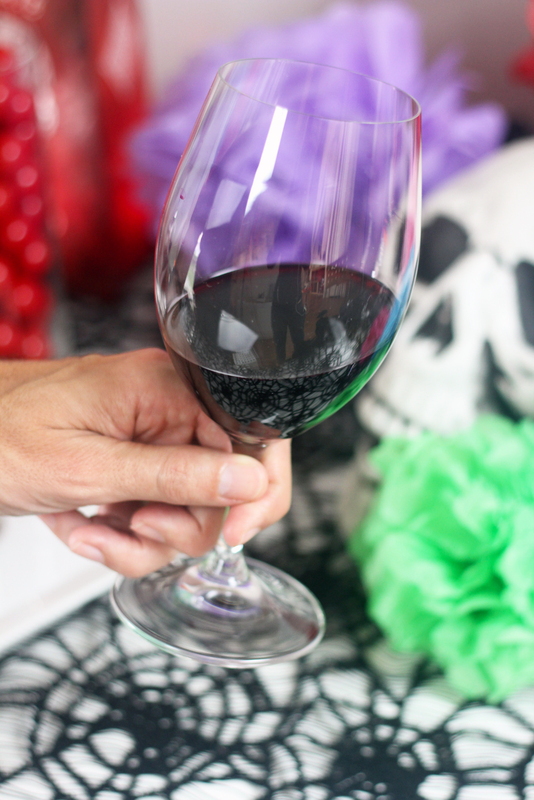 So to set the stage for my party, I started with colorful tissue paper pom poms, skulls, and a black spider tablecloth. And because I would be serving Red Diamond's Mysterious Red Blend, I decided to make red the focal color of the party and serve only red foods in traditional Mexican flavors! For cocktail parties, I'm all about easy finger foods. That way your guests get to focus on each other, instead of on how to cut food on plates precariously balanced on laps. So I started off by serving tortilla soup in shot glasses. No spoons needed. 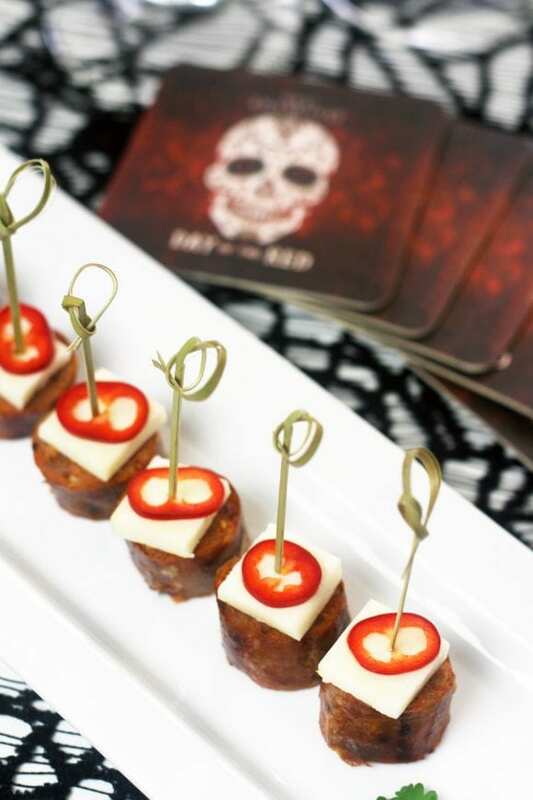 Next I created these easy appetizers of chorizo, cotija cheese, and habanero peppers. Of course I put out red chips and red salsa. 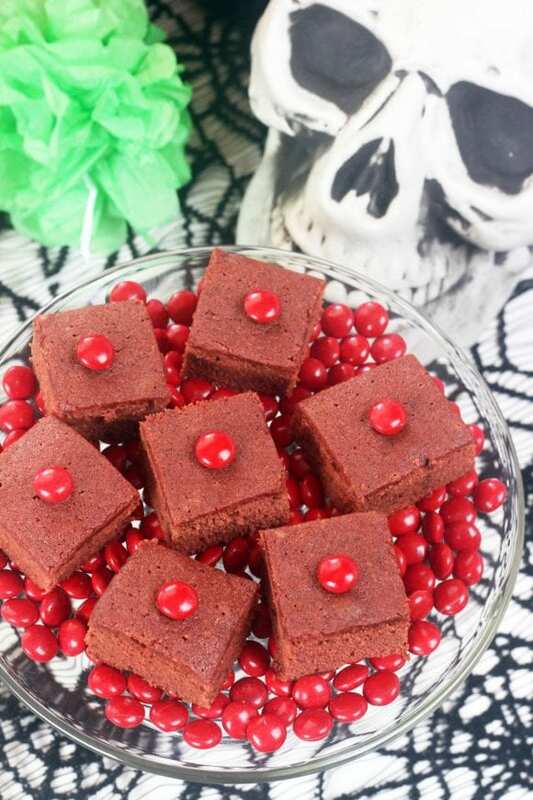 And for dessert, I made these spicy red chili pomegranate brownies. The brownies were rich, chocolatey, and moist, but the best party was the spicy heat in every bite. I displayed the brownies on a cake plate on a bed of red M&Ms. I think the candies only added to the decadence! 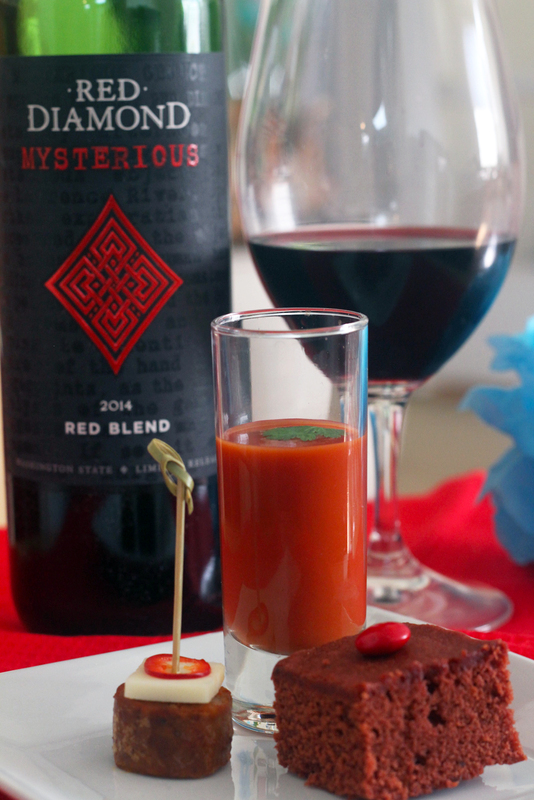 And the Red Diamond Mysterious wine worked beautifully with the food. The wine had notes of cherry and red berries, and had a smooth finish with a hint of pepper. 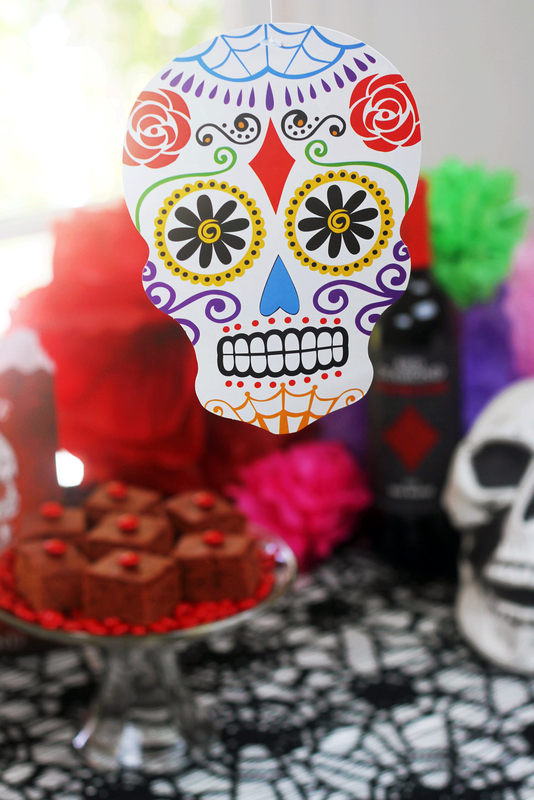 It partnered especially well with the strong flavors of chorizo and cotija, and even with the spicy brownies. 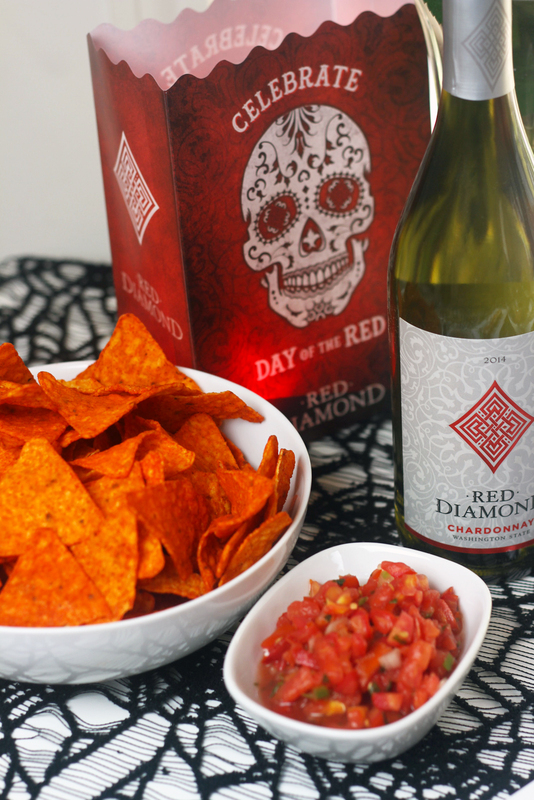 Red Diamond has everything I look for in a cocktail party wine. It's versatile, complex, and sells for only $10 per bottle! I also recommend serving a white wine at your party. 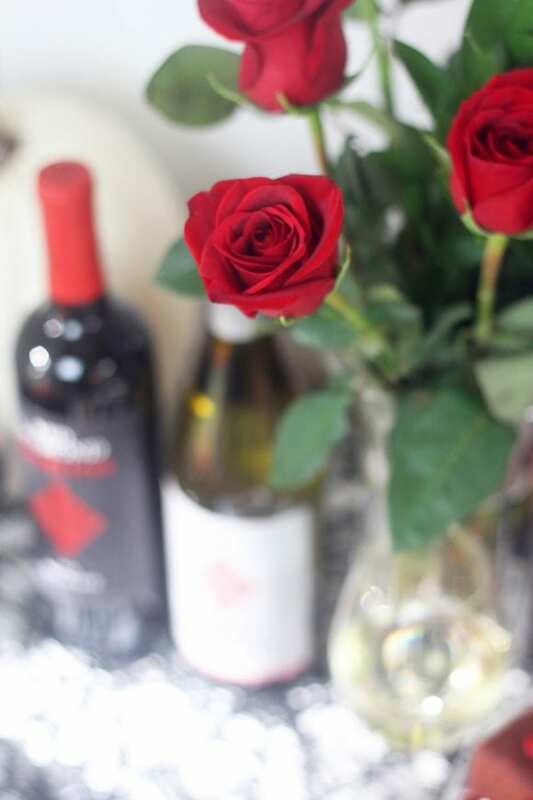 The Red Diamond Chardonnay is a smooth and buttery choice, and again, holds up nicely with bold flavors. 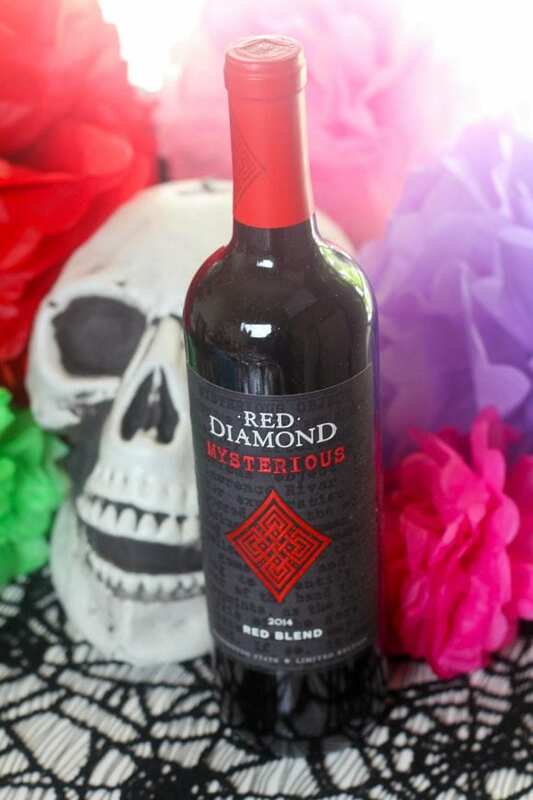 So Cheers to your Day of the Dead celebrations, and to a mysteriously beautiful fall! This post was sponsored by Red Diamond Wine, but all opinions and inspirations are my own.